Located mid-way between Cnoc an Chuillinn itself and Maolán Buí. Previously L Coimín Móir Mtn in MV. Cnoc an Chuillinn East Top is the 12th highest place in Ireland. Picture from group : Cnoc an Chuillinn East Top is skyline left of centre. Picture: Cnoc an Chuillinn East Top is skyline left of centre. 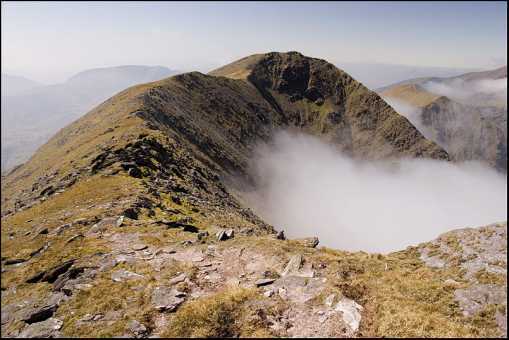 Lough Comin Moir Mountain in the centre of the photo as as viewed from the summit of Maolan Bui. 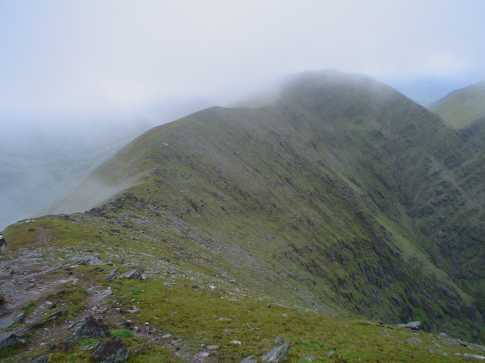 The summit of Cnoc an Chuillin is just visible in the clouds to the right of centre.